Housing. 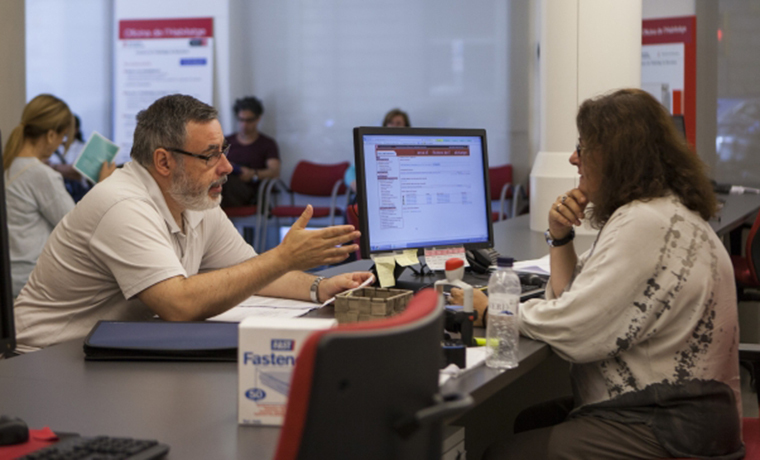 The guide offers useful information about all the services and aid available through the housing offices of Barcelona. The Barcelona City Council has gathered all housing services and aid into a practical guide. The publication, with 32 pages, is available in PDF on the housing website. The guide is divided into 12 sections through which, in a clear and concise manner, doubts are resolved regarding aid for rent or mortgage payment, access to public housing, renovation, and energy rights. In the first section, titled “The challenge of promoting the right to housing“, an introduction is given about the evolution of the housing market and its current situation. In this section, the Barcelona City Council shares its commitment to increase affordable rentals and to maintain and renovate those currently available, to prevent and address the housing crisis and residential exclusion, and to guarantee the correct usage of homes. Then, information is offered about the Housing Offices of Barcelona, ​​of which there are a total of 10. The guide explains their functions and includes practical information about their hours and addresses, as well as the option to request an appointment. The guide goes on to present specific information on aid for rent or mortgage payments, as well as mediation and advising services in these areas. It also presents the options available in cases of housing loss and the steps to follow in order to access public housing. The guide dedicates another section to the Rented Housing Pool, which offers guarantees to owners and allows tenants to access a private home at an affordable price; and also to aid for renovation, which promotes interior housing renovation, renovation of the overall structure of the building, and energy efficiency measures, with the aim of improving the well-being and quality of life for people. Finally, information is provided on co-housing, on rights and duties in rental contracts, and on the steps to buying a home.